It's getting very close to the time of year when children dress themselves up as super heroes, princesses, zombies, and race car drivers, going door to door taking advantage of the one day when they are all entitled to receive candy. Most people that are swept up in the Halloween spirit will probably stick a jack o' lantern on the front porch alongside an inflated skeleton, but you, dear Android Police reader, are not most people. For you, there is an Android Trickertreat collectible available to prove to everyone that your favorite mobile OS is ready to adapt to every situation, including the holidays. 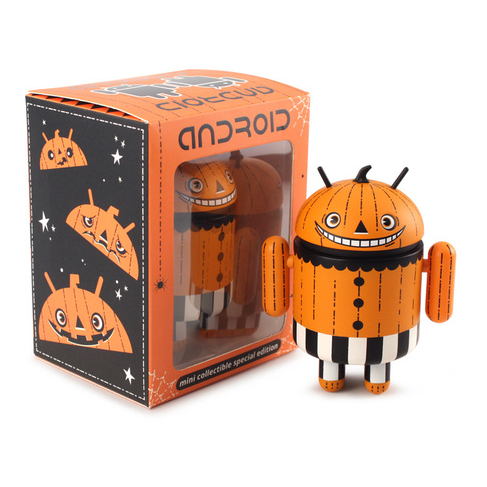 Our familiar Android has been given the pumpkin treatment and provided a pair of striped prison pants. To up the creepiness factor, it has two faces: one showing what it looks like before consuming a sack of candy, and one that shows how it feels after. This figure designed by Andrew Bell and produced by Dyzplastic is available from Dead Zebra, Inc. for $10, with optional square or hexagonal cases offered for an additional $3. A credit card is required, and shipping starts on October 23rd. 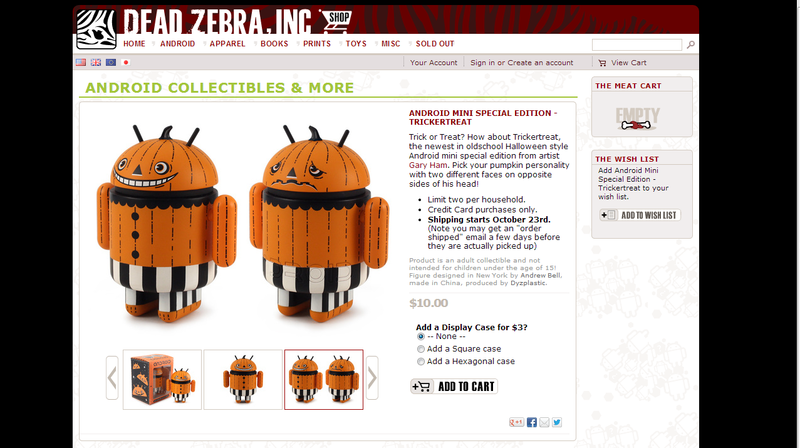 Android Trickertreat Collectible at Dead Zebra, Inc.